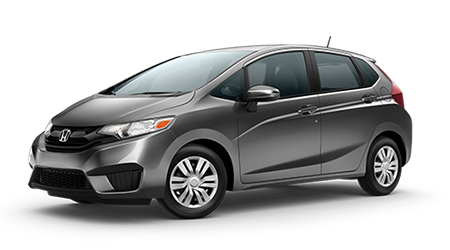 As budget-minded as a Honda Fit is, you'll keep even more cash in your bank account when you purchase a used Honda Fit from Manly Honda in Santa Rosa, CA. You know how dependable and fuel-efficient a Honda is, so why not save even more by purchasing a used Fit? This sporty, sleek hatch is fun to tool around in all over Rohnert Park, Sonoma, Petaluma, and Sebastopol, so if you want to ride in style, come check out our used Honda Fits today! A used Honda Fit is as fit inside as it is outside. Standard features include an I4-cylinder engine with either manual or automatic transmission, traction control, ABS brakes, cruise control, air conditioning,, daytime running lights, AM/FM/CD/MP3 audio system, power windows and locks, variable speed intermittent wipers, and a theft deterrent system. Purchasing a Certified Pre-Owned (CPO) Honda Fit from Manly Honda is a great way to buy a used Fit with confidence, as it must meet strict criteria before it becomes certified. First, it must be 6 model years old or newer and have less than 80,000 on the odometer. A CPO Honda Fit must then pass a meticulous 150-point inspection performed by Honda factory-trained technicians and come with a CARFAX history report, which includes any accidents, damages or repairs. So you know your Certified Pre-Owned Honda Fit is fit as a fiddle. All CPO Honda Fits are backed by an amazing 12-month/12,000-mile extension of the New Car warranty and a 7-year/100,000-mile powertrain limited warranty with $0 deductible for covered repairs. For even more reassurance, you can purchase Honda Care Certified Additional Coverage, which increases the powertrain warranty to 8-years/120,000 miles and features more systems coverage and roadside assistance. And you'll enjoy a complimentary 3-month subscription to SiriusXM if your CPO Fit is so equipped. A few minutes is all it takes for Manly Honda to pre-approve you for a used Honda Civic. Just go to our website, fill out a simple four-step application, and based on your credit, you'll be contacted about what financing options are available. We work with many different lenders so if your credit score isn't that high, our finance team will work hard to get you approved for a used Honda Fit. There's no reason to hesitate if you're searching for a used Honda Fit, because our courteous sales team at Manly Honda, serving Petaluma and Rohnert Park, is waiting to make you an offer you can refuse on this luscious hatch right now!